Circumstances have conspired to force me to shutter the Carnival of Hurricane Relief six months early. I regret the necessity, and will miss keeping up-to-date as the Gulf Coast rebuilds. 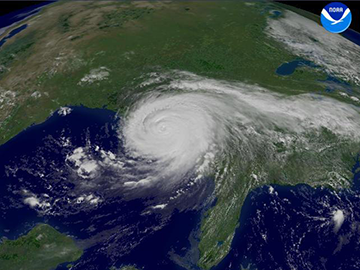 My prayers are with all those working so hard to fashion a new life after Katrina, Rita and Wilma. The CoHR homepage was redesigned. The current design retains that format. CoHR Xmas was not repeated. Instead, CoHR participated in a Real People Relief Christmas effort. The last edition of the year was the 118th. We anticipate stopping the publication of new editions of CoHR on the third anniversary of Katrina's landfall, in August 2008, in order to put time into other efforts. If you would like to host a future edition of CoHR, please let us know. If you would like to submit a post, we recommend submission through the Blog Carnival. We are most in need of up-to-date photos from the Gulf Coast to feature at the top of each week's homepage. Two projects in addition to the Carnival itself provided some spark in 2006. First, the CoHR Squidoo Lens provides a quick introduction and portal to Gulf Coast hurricane relief and recover efforts. We're quite proud of it, with the only regret being that we have so far been unable to identify a specific Gulf Coast charity to designate as the recipient of the revenue generated by the Lens. The charity must register with Squidoo to receive the admittedly small amount of money, but the registration allows that charity to receive money from any of the more than 60,000 Squidoo Lenses, not just the CoHR Lens. Right now, the revenue from the CoHR Squidoo Lens continues to go to the Grameen Fund USA. Second, the special shopping edition of CoHR — CoHR Xmas — was fun to put together and saw over 21,000 visitors since it was first posted on November 9, 2006. We have plans to check in with the vendor pariticipants to find out how their doing, now that the holiday rush is over. If a majority decide that the effort was worthwhile, then CoHR may set up a more-or-less permanent "Shop the Gulf Coast" area.